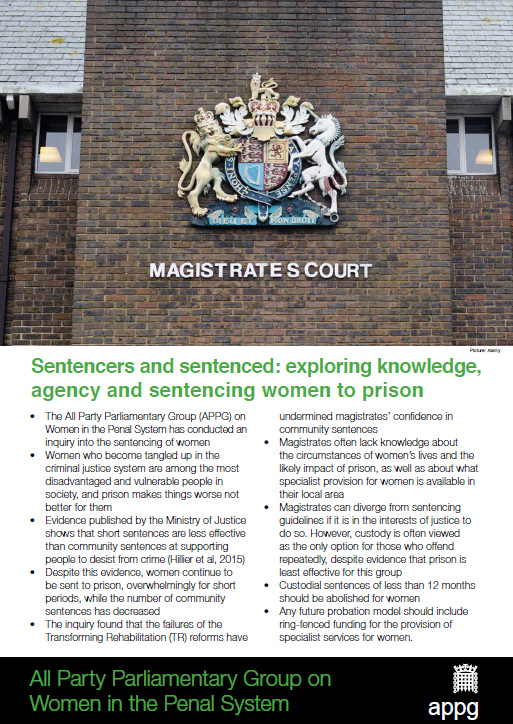 The All Party Parliamentary Group on Women in the Penal System conducted an inquiry into the sentencing of women. The inquiry received written evidence from charities, academics, women’s centres, a trade union and a Police and Crime Commissioner. MPs and peers visited a problem-solving court and heard oral evidence from John Bache, the Chair of the Magistrates’ Association, and Dame Glenys Stacey, Her Majesty’s Chief Inspector of Probation.